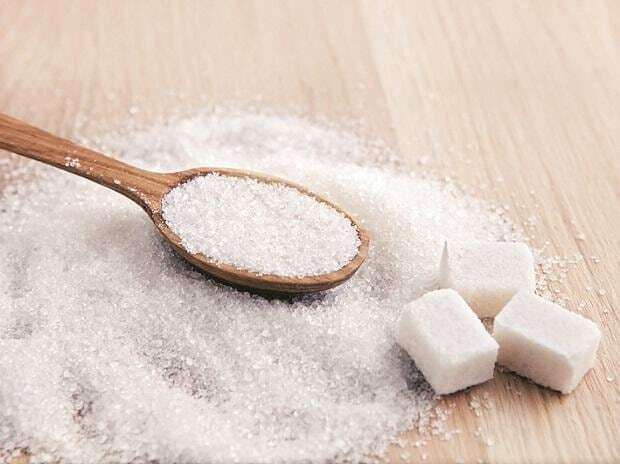 As many as six stocks from the sugar sector, including names such as Dhampur Sugar Mills, Avadh Sugar & Energy and Uttam Sugar Mills have climbed over 20 per cent in the last two months, thanks to an array of government initiatives to boost the sector. Earlier in March, the government announced a soft loan of Rs 12,900 crore for sugar mills to create ethanol capacity. In addition, the government said a separate soft loan of Rs 2,600 crore will be provided to molasses-based standalone distilleries to augment capacity and set up new units. A soft loan is a loan that is given at a subsidised interest rate. Besides these measures, the government had announced a soft loan of up to Rs 10,540 crore to the sugar industry to help mills clear mounting arrears to cane growers. The minimum selling price (MSP) was also increased by Rs 2 per kg, or 7 per cent to Rs 31 per kg. All these steps, according to experts, will help the industry come out of the cyclicality that it has witnessed earlier, thereby creating an asset with steady cash flow and limited downside with a call option on sugar prices. Currently, the cost of production of sugar in India's largest sugarcane belt of Uttar Pradesh stands between Rs 33 and Rs 34. Given this, the companies will still incur a (production) loss of Rs 2. However, their emphasis on ethanol capacities will aid diversification and help companies partially cover up for the losses in the sugar production segment in the long run, analysts say. "With higher ethanol capacities, there will be higher divergence of sugarcane towards ethanol rather than sugar. Surplus sugar production should come at par with the demand levels going ahead. As a result, sugar prices will remain steady and the losses these companies have witnessed due to sugar surplus would come down significantly," explains Pratik Tholiya, AVP for institutional equity research at Elara Capital. Rating agency ICRA agrees. In its March 7 note, it said the step to augment ethanol capacities under the prevailing sugar surplus scenario is likely to address current supply-demand imbalance in sugar industry over medium-term and thus improve cash generation and liquidity. According to ISMA’s new estimate, sugar production for Sugar Season 2018-19 is expected to be 30.7 million tonnes (MT) against last year production of 32.5 MT. With Brazil’s & India’s sugar output declining 12 per cent and 5.5 per cent respectively, world’s sugar production is expected to be 5 per cent lower. "With recent MSP hike, we believe that India will export less sugar in order to book more profit domestically. As a result, global sugar price is expected to go up," said analysts at Stewart & Mackertich. Analysts tracking the sector are positive on Balrampur Chini, Dhampur Sugar and Dwarikesh Sugar Industries. In a Q3 results review note for Balrampur Chini, analysts at YES Securities wrote, "support from central and state government efforts to cap cane costs offset the fall in sugar realisations. While inventory situation is yet to improve, prospect of lower output next year leads us to believe worst of sugar glut may be behind." Balrampur Chini had reported a 96 per cent jump in net profit at Rs 120.32 crore for December quarter, 2018-19. Total income, however, dropped to Rs 962.68 crore in the latest quarter from Rs 1,007.5 crore in the same period a year ago. Stewart & Mackertich has recommended a 'strong buy' on Dhampur Sugar with the target price of Rs 275. The company had reported a 10 per cent increase in its consolidated net profit at Rs 82.04 crore for the third quarter of 2018-19. Total income during the quarter rose to Rs 799.43 crore from Rs 783.65 crore in the corresponding period of the previous year.